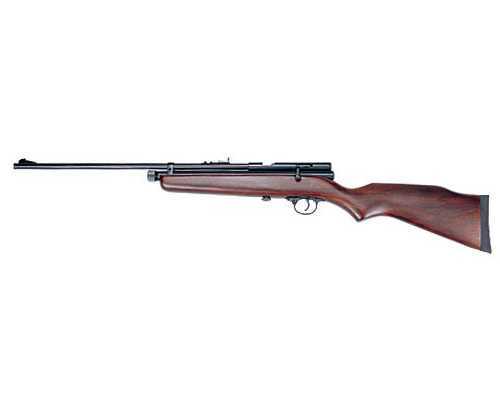 Airgun Links useful to Canadians. Accessory Rail: A track for mounting hand stops or slings, installed in the fore-end of the stock. Accuracy: The ability of an airgun to consistently group all its shots close together at a given distance. Action: The "guts" of the airgun- usually the working parts of the airgun excluding the stock, barrel, barrel tube, sights. I.e. the parts that allow the gun to discharge. Adult airguns: Airguns intended for the discerning "Adult" market. Usually, guns classified as 'adult' are too powerful, too heavy, or too large for the typical youth and beginning shooter. 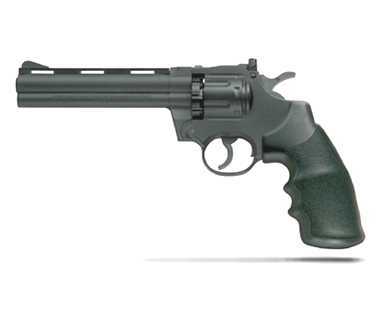 Airgun: A gun that is powered by compressed gas to shoot a projectile (much like a spitball through a blowtube). AirSoft: Also referred to as 'SoftAir'. An airgun designed to shoot plastic 6mm or 8mm BBs. Airsoft guns typically shoot at lower velocities (200-250 feet per second) than BB or pellet guns, and are often replicas of real firearms but are also made of colored or clear ('see-through') plastic in areas where replica guns are banned. AirSoft guns are used in dedicated shooting competitions and 'war games' where shooters wear protective gear, primarily eye protection, and shoot at each other . Aperture sight: The hole (or 'aperture') with its associated frame/guide that makes up the rear sight assembly and is used to align the front sight and target. Back strap: The section of a pistol frame that is exposed at the rear of the gun's grip. Ballistic Coefficient: A measure of how a projectile decelerates during its flight through the air due to drag. The lower the BC of a projectile, the greater its air resistance. Barrel: The steel tube through which the projectile passes to exit the gun. Barrel Band: A band, usually steel (sometimes plastic on lower-quality guns and often aluminum on custom guns) placed around the forend of the guns barrel to hold it to the stock (and/or the tube assembly in PCP or Co2 guns). Barrel Cocking: The action of pivoting the barrel through its full range of motion (i.e. open/closed) to compress the spring in a spring-piston airgun for firing. Guns using this type of cocking are referred to as "break barrel." Barrel Crown: The muzzle end of a barrel where a circular, descending indentation is machined to allow the exit point for the projectile to be smooth and perpendicular to the barrel rifling. A properly-done crown helps insure accuracy and consistency in the gun's aim. A poor or uneven barrel crown often results in poor groupings, inconsistent accuracy and occasionally stray shots.